A great MIDI keyboard is one of the most essential external devices that you can have at all levels of musical production. Theoretically, you can spend hours by plugging in all of your notes on a piano roll on your screen, but not only is this a bit more tedious, but it also takes a lot of the fun out of really playing and making music. 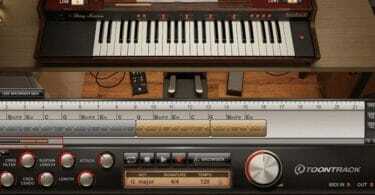 Recording your ideas with a MIDI controller keeps the performance aspect alive when creating music digitally. There are a lot of different devices to choose from - they can come in different sizes, and specific ones may be suitable for a particular level of skill. In this article, we are going to look at some of the best MIDI keyboard controllers for various circumstances, giving you options depending on your personal needs. In this list, we have some of the most forefront brands when it comes to MIDI controllers so you can expect great things from each of these products. Before we begin with our discussion on why each of these keyboards is the top choice for their respective categories, we want to take the time to talk about MIDI controllers and what they’re used for, to help any beginners who are completely new to all of this. First of all, MIDI is an acronym that stands for Musical Instrument Digital Interface, and it allows computers, interfaces, and digital instruments to communicate with one another and relay information about pitches, vibrato, velocity, dynamics of the notes, and much more. When we use a MIDI controller, which is usually in the form of a keyboard, this device doesn’t have any sounds on it like a digital piano or keyboard, but rather, it just gives information about what is played. Your computer is what supplies the tones while you and your controller provide the notes and everything else. 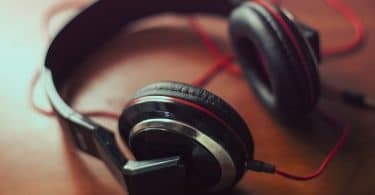 The way you get sounds on your computer is through various software that can provide just about anything you need, especially synthesizer and piano sounds. Nowadays, one of the most popular formats for doing this is through a plug-in known as a VST (virtual studio technology), and it's typically run in a DAW (digital audio workstation) or outside of it if it has standalone functionality. The most common uses for a MIDI controller are for music production or for live performance. Nowadays, people don’t need to lug around gigantic keyboards at home or on the road and instead opt for this lighter-weight option. Instead, they have their sounds in their computers, and laptops are commonplace on stage. They just connect their controller through USB or by a MIDI cable and they are good to go. Technically, yes you can, as long as you have the sounds, all of the notes will be in the same exact spot as a traditional piano. Just keep in mind, you may need something that is long enough to learn how to play the instrument proficiently. A beginner of music production is different than someone who wants to learn how to play a midi keyboard or the piano - a 25-key controller is sufficient for someone just starting out with composing digital music. Now that you have a synopsis of what MIDI controllers are all about, we can dive into our guide to the best MIDI keyboard for beginners as well as other areas such as home recording and live performance. What Is The Best MIDI Keyboard? Depending on your experience or how you intend to use the controller, some are better than others. Our job is to narrow these keyboards down to a few different categories, so you don’t have to sift through all of the different brands and sizes out there. Earlier we introduced you to the keyboards that we believe are the best choices - now we can talk about each of them in-depth. The 25-key version is also considerably cheaper than 49 and 61-key versions, which is ideal for individuals who don’t want to spend more money on extra keys or features. Another perk to having 25 keys is that it makes it super compact; it’s small size originally made it a candidate as the best travel MIDI keyboard for gigging, but we feel that new players would get the most out of this one. Overall, the Alesis QX25 has a lot of neat features that you may or may not use; they are there if you need them. More than likely, because of its limited size, you will need to use the octave buttons to reach higher or lower notes, but using a MIDI controller pad (there are 4) for drum sequencing and fader knobs are a nice touch. These give the user some control without being too overbearing and confusing. It also works with PC, Mac, and iOS software, as well as all major DAW programs, so this also makes it really accessible for those who are new to the game and want to get set up easily and start learning. Making a decision on the best MIDI keyboard controller for live performance was actually a tough call! With so many awesome keyboards out there it was difficult to pick and choose a single one. Eventually, we’ve determined that the Novation Launchkey 49 fits the criteria for being the best MIDI keyboard a performer can ask for. 49 keys may not be as compact as a 25-key device, but it still portable enough where you can easily carry it around without any issues. In reality, a 61 may not be too bad either - however, you get a more substantial upgrade going from the 25 to a 49, than from a 49 to a 61. All versions have 16 light-up pads, 8 rotary knobs, but the 49 and 61-key devices have 8 levers that allow you to adjust your mixes on the fly. The 25-key only has one of these. This keyboard was created primarily for use in Ableton Live, which is one of the best DAW programs that is catered to gigs, but you can use this with just about any MIDI controller software, and it works just fine. No need to leave what you are most familiar with to get this keyboard to work. The Novation Launchkey 49 gives you a lot of control over your performance with its features, and it is a keyboard that is built to last and will be reliable on the road. It is also powered by USB, so a traditional cable where you need a wall-outlet will be unnecessary with this one, leaving you with one less thing to carry along with you. If you are a newbie to producing music on your computer, you won’t be disappointed with the QX25 by Alesis. The QX series does go all the way up to a 61-key model, but 25 is perfectly fine for a beginner's needs. When you are playing the piano and making music at home, it’s a good idea to have something that can be considered a workhorse, without all of the downsides of owning a full-sized digital or acoustic piano, particularly in regards to weight and size. While an 88-key MIDI controller is an option for some people, it’s arguable that this may be a bit overkill in the grand scheme of things. A 61-key device should be more than enough in most cases, and you won’t feel limited by a lack of keys. In reality, most MIDI keyboards are capped-out at 61, and the Alesis VI61 is the largest in the VI series. Other than playability, control is one of the reasons this keyboard is the best midi controller for recording. Like the Novation Launchkey that we previously just went over, this one also has 16 programmable pads. However, the Alesis VI61 has a whopping 16 knobs and 48 additional buttons that allow you access to things such as plugins, all at your fingertips. Another fantastic feature that this professional keyboard has over some of the budget-friendly ones is that the keys are semi-weighted. While it’s a matter of preference, some players believe that non-weighted keys mess up their feel a bit. Having semi-weighted keys can provide a more familiar feeling to more traditional players, and it can also have an impact on their sound, especially with dynamics. Alesis is known for making high-quality gear, and the VI61 should be a valuable asset in your studio. Like the little QX25, that we mentioned first, the VI61 is compatible with Mac and PC and works with the most popular DAWs. Definitely put this one to work if you can! If you are strapped for cash, or you’re just unsure if you need a full-featured MIDI keyboard for your project, Akai’s LPK25 is a fantastic choice for those who aren’t looking to spend too much for a good controller. For this particular model, you’re going to want to pick up the wired version instead of the wireless one - this is how you will save the most money. The wireless version costs roughly 150 dollars more than the wired one, which typically sits at around 50 to 60 bucks. This one is definitely under the $100 mark, which also makes it a good option for beginners. Other than choosing to use a cable, another reason that this keyboard is much more affordable than others is that it has an extremely minimalist design. While the others have fancy knobs and other controls, this one is stripped down to the very basics - it just has a couple of buttons for octaves, arpeggiation, sustain, and tap-tempo. Like the QX25, this one is also light-weight, highly-portable and probably the best travel midi keyboard you can.find. Even if you’re on the road and using a laptop to make music, or you’re at home trying to come up with new ideas, this controller is basically plug-and-play. As long as you use Mac, iOS, or PC and have a solid DAW, this one will work without any drivers. On the other hand, it does with MIDI controller software, giving you some degree of customization if you need it. It isn’t recommended that you use this one for performing live though - ideally, you’ll want something that is sturdier and has more keys and other features for that. At the end of the day, the LPK25 is a nice little tool for the money. Akai Professional consistently puts out good stuff. The minimalist approach is appealing to a lot of people, but it should be expected that this controller will do the bare minimum. It’s excellent at what it does, without all of the frills that other products have. Nektar’s GX49 combines a lot of the features that we thought made each of these products shine all into one midi controller. Therefore, it is a super-balanced and affordable option for those who need a keyboard for a variety of needs. Let’s start with the number of keys. 49 is a good choice if you’re looking to use a keyboard when playing gigs or you’re at home. However, 49 is also usually small enough to where you can make music in a vehicle. Only if you’re a passenger, of course! 25 and 61 keys are useful for certain aspects, particularly for beginners and using a MIDI keyboard for recording, respectively, but a 49-key instrument is a smart option for those who plan to use this keyboard everywhere. Keep in mind, there is a 61 key version in case you know that you will need something with a slightly larger scale. The Nektar GX49 also strikes a happy medium between minimalism and high-functionality. It doesn’t have a bunch of control knobs and pads, but the keyboard does have 14 assignable buttons for whatever you wish. The pitch-bend and modulator wheels and the octave buttons are also there for when you need them. It’s still a solid instrument for playing live, but just remember that it doesn’t have as many controls as the Novation Launchkey 49. Because of its ease of use, this is still a good MIDI controller for beginners. It is USB-operated and works with common DAWs. If you don’t have a DAW, this keyboard comes with one called “BitWig,” which can help you start learning how they work. The Nektar GX49 typically runs for under 100 dollars, so while it’s definitely cost-effective and feels light-weight, this product is not cheaply made. You can particularly feel the quality of this device in its keys. The keys are semi-weighted and feel very responsive. By choosing the Nektar GX49, you are getting the best of all worlds, without a doubt. Regardless if you are a seasoned musician or someone who is interested in learning how to play a MIDI keyboard for the very first time, you’re going to have to make a decision and find the right one. These keyboards have been deemed the top choices in their class and depending on your goals, you can narrow it down to just a single one. Even if you don’t plan on producing or playing live music in the near future, which are a couple of the primary uses of these, you can still learn how to play piano with a MIDI keyboard. As mentioned earlier, all you really need are the piano sounds, which you can find through a VST - the keys are all in the same order. Combine this with learning materials, and you should be good to go. Hopefully, this guide has assisted you in finding the best MIDI keyboard controller for you. You’re in good hands no matter what one you choose - these are reputable brands that have a great track record of providing the people what they’re looking for. Some have more features than others, but ultimately, these keyboards have the same fundamental function, which is to communicate information to your computer to produce sounds. Keep this in mind if you are still feeling lost or stuck, or you can just go with the Nektar GX49. When all is said and done, the most crucial thing should be the ability to create and/or perform music with minimal frustration. Cheers!